To the Sonnes of Zion, Soveraignely usefull for Composing their Unbrotherly Devisions. 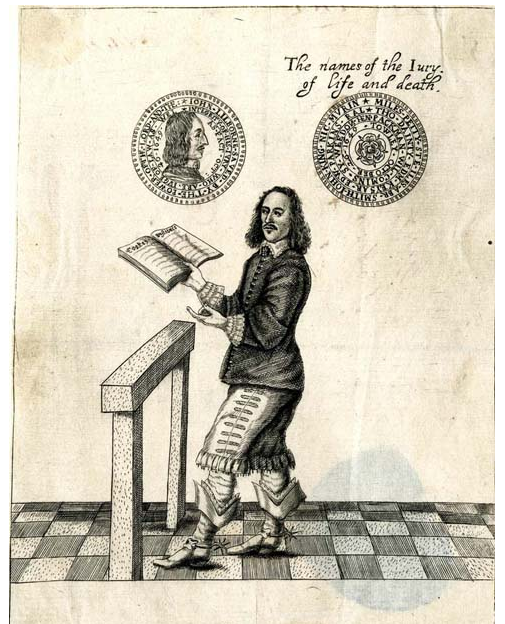 By “a Lover of the Truth and all those that live godly in Christ Jesus, printed in London by Henry Overton, March 1647. 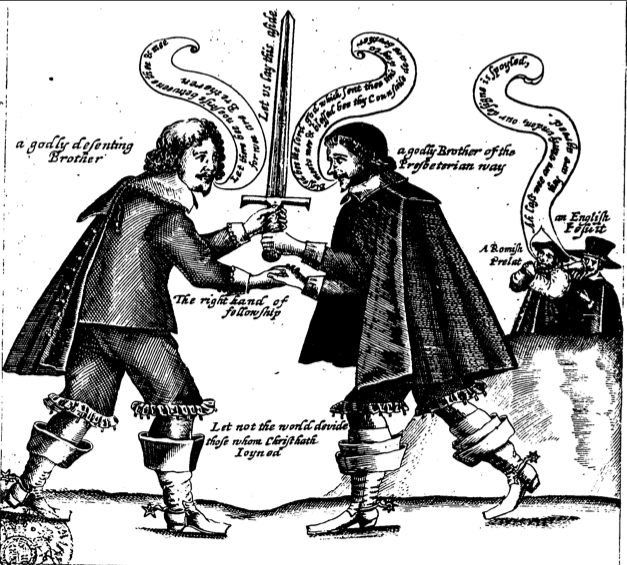 The tract is a call for unity in all the sects that formed the opposition to the King, and the illustration has some fine details. 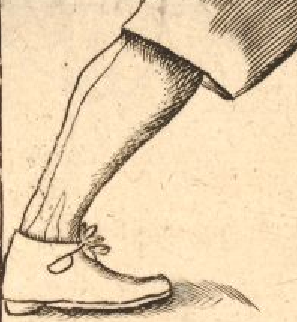 Note the square toed high boots and the ribbon decoration on the lower edges of their unconfined breeches. The Disenting Brother on the left has a fashionable off the shoulder cloak, whilst his godly counterpart on the left wears the kind of cloak worn by professionals, lawyers, clerics with a wide hanging collar that displays the lining when worn on the sholuders. 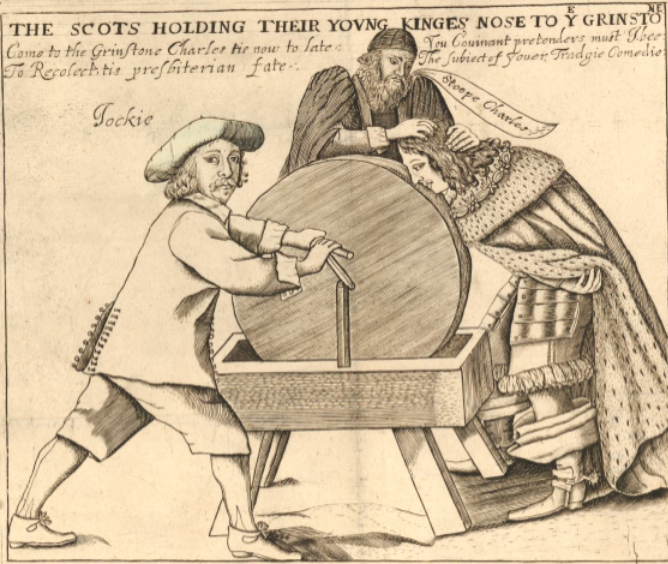 Holding Their Yovng Kinge’s Nose to Ye Grinstone (sic). 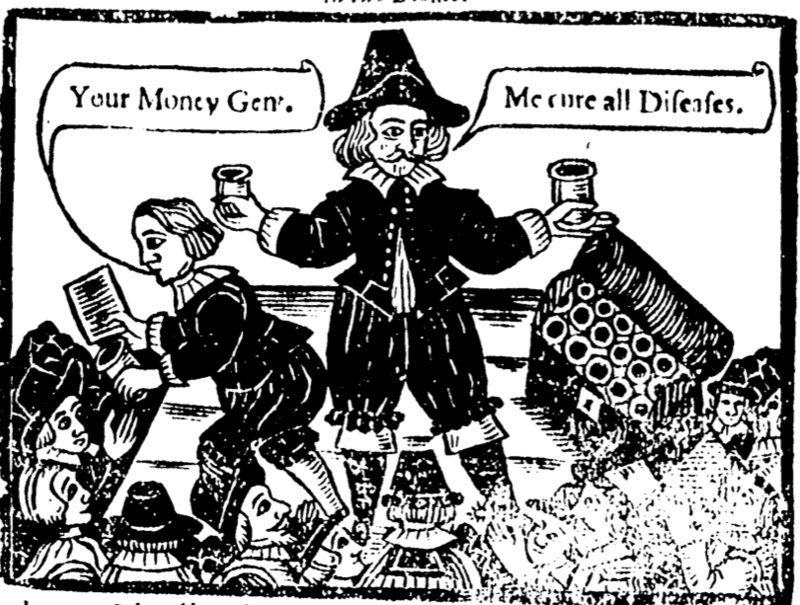 Pamphlet/broadsheet from 1651. It’s a familiar image, but there are some interesting details if you zoom in. Jockie’s hat and coat cuffs for instance. Bonnet or wide brim? His shoes and hose. 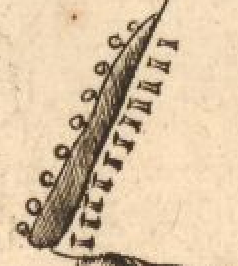 Looks like they are sewn rather than knitted from the back seam and side gussets. 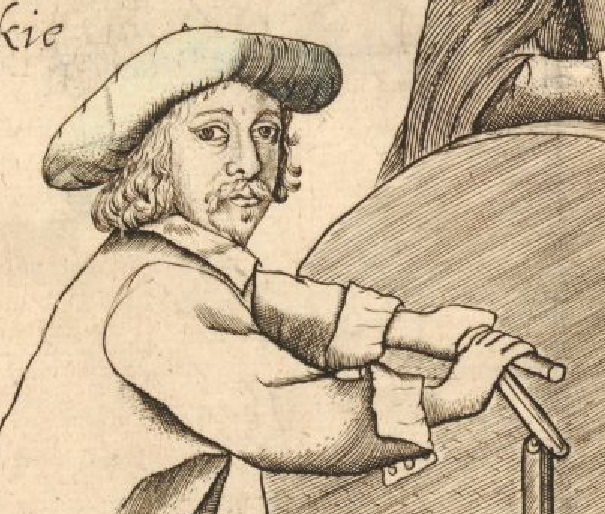 He has unconfined breeches too. The buttons on the back of his coat. Round and shanked. 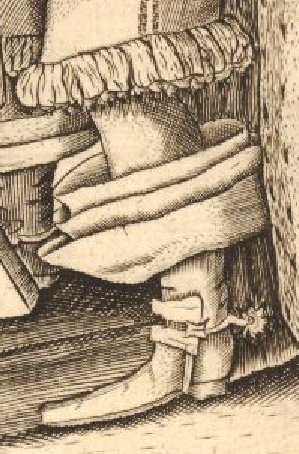 And last but not least, Charles’s soft boots, boothose and breeches. Spot the ribbon decoration on the lower edge.